I'm new to the forum, looks like a great community in here! 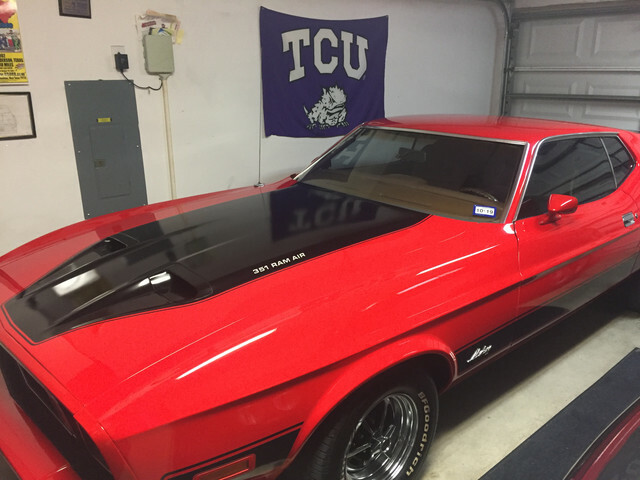 I just purchased a somewhat restored '73 Mach 1 351c 2v (now has a Holley 4160 on stock 4v manifold and 4v open chamber heads) Ram Air, A/C, PB, PS, FMX, "Duraspark" single vacuum adv distributor, Red/Ginger std interior. Solid ride that spent it's entire life in SoCal and Vegas. Glad to be here! I have a dilemma. 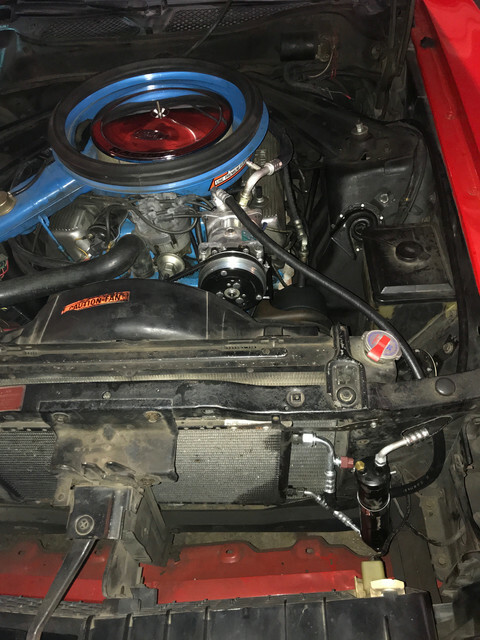 Its seems that with some aspects of this car that instead of a true mechanic doing the work, a "parts installer" may have been under the hood at times instead. Problem being, that the vacuum system appears to be all wrong from what I can tell by doing some searches on this site. Therein lies my problem: I can't decipher exactly how the vacuum lines should be routed. 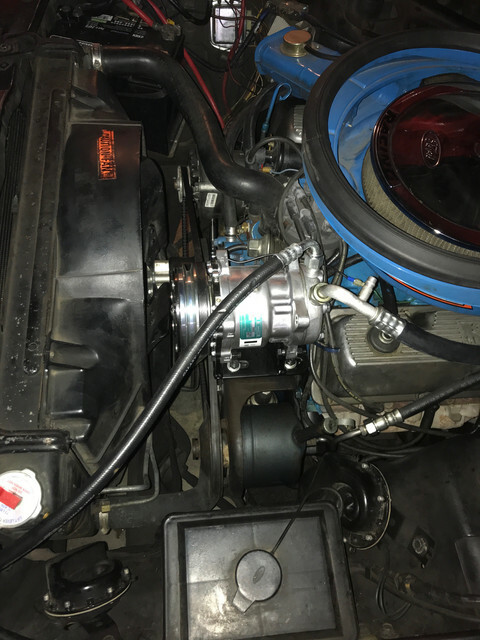 For starters, the brake booster line is connected to the back of the carb base. The ram air is connected to the 3 prong vac tree on the back of the manifold, the distributor advance is connected to the front of the carb base plate, the PCV on driver's side valve cover is connected to the larger port on the front of the carb base plate, etc..
For starters, can someone tell me where (how) the vacuum lines are routed (from left to right) from the vacuum tree on the firewall? Hello and Welcome to the site. Looks like a nice car. As far as the vacum lines you mentioned, they all sound like they are correct to me. Not sure what your exact set up is without some pics, but it sounds ok. Need a lot more info. What is giving you a problem? If it’s not running right could be a vacuum leak of some kind but need to know if it’s a stock set up or if you have a different carb and intake. Anyway great looking ride and hope you have good luck with it! Great looking car. Some pics of your engine showing the lines would be helpful. Also, you did not mention but what exhaust manifolds/headers do you have? The 351-2V manifolds would not fit the 4V heads. Due to the modified nature of the manifold and carb, the stock vacuum diagrams will be of very little use. Everything you describe sounds about right to me as well. If there's anything in particular that you feel is incorrect, please post it up! I think if you take it one step at a time you will get correct. 1) get the booster signal done. The ram air is best to go by the diagrams and confirm both the dash pots and temp signals are working. P.S. Nice when someone SHOWS they did their homework first !! Nice, complete and solid with enough minor work left to make it really yours. Best way to buy them! Welcome from Iowa. Nice looking ride.